Get ready for a comedy of epicurean proportions! Two bumbling jewel thieves are on the run from the cops when they duck into Chez Monyeu, a restaurant so bad the mice are their only repeat customers. And that’s just the start of their problems. Not only has Chez Monyeu’s chef just quit, but the city’s most powerful restaurant critic is about to arrive. 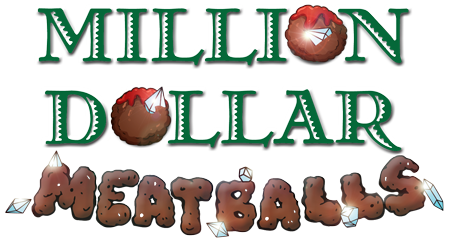 In desperation, the restaurant’s owner, mistaking the thieves for famous French chefs, insist that they make their renowned Million Dollar Meatballs for the tough-minded critic. Insanity ensues as the pair try to keep up the ruse while hunting for the seven priceless diamonds they lost. Will the thieves get away with their crime? Where could the diamonds have gone? And why are the meatballs so crunchy? Find out in this deliciously funny farce! How to play great scenes from contemporary and classical theatre.